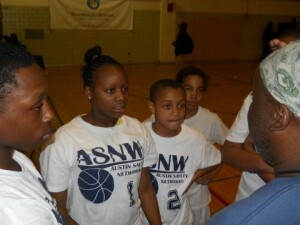 AustinTalks featured ASNW B-Ball in December as a new sports-based youth development program for Austin youth ages 11-14. Thanks to Austin Safety Net Works, a violence prevention and youth leadership program led by Westside Health Authority, all 70 players participated at no cost to their families. The program was maintained and supported through the collective efforts of WHA staff, local schools, park district representatives and local businesses. Volunteer coaches were committed to the success of this program. Each coach proved to be pivotal in upholding ASNW B-Ball values and principles. The program did not sacrifice its integrity – there was no cursing, sagging, or general disrespect tolerated without a team incurring a technical foul at the very least. 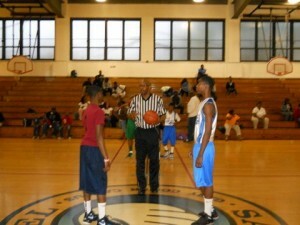 Players learned life skills along with the fundamentals of basketball. ASNW staff and volunteer coaches recruited youth from Austin primarily. 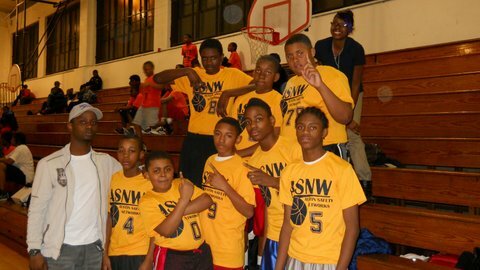 Some players registered with ASNW B-Ball through their youth development and sports programs such as Westside Youth League, Wolf pack Basketball, The Peace Corner and New Birth Christian Center. 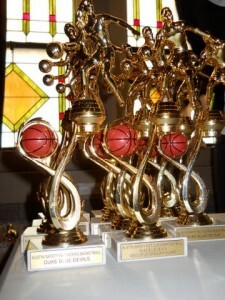 The six teams featured both experienced and novice players, leaving them equally matched and highly competitive. 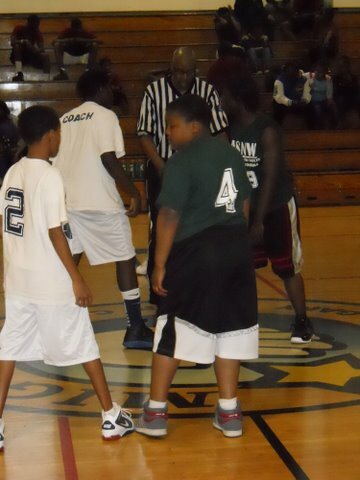 For some players, this was the first time they ever had a chance to play organized basketball. A significant amount of the players were walk-ins simply looking for an opportunity to play with a team and receive instruction on how to be a better player. Safety Net Works administrators used this opportunity to connect these players and their families to services offered through local community organizations. Parents received information on job training and community leadership opportunities. The first set of games began Feb. 18 without a hitch. 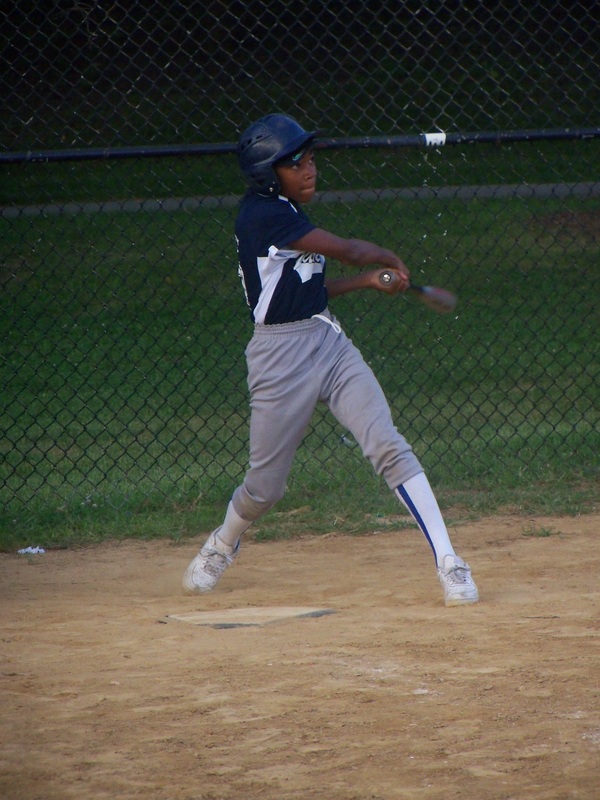 The 10-week season culminated in three weeks of post-season game play. 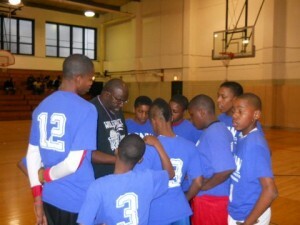 On May 13, Coach Quinton Dudley and the Louisville Cardinals were victorious against Chicago Wolf pack, 47-41. What was the atmosphere like? There were shouts of joy, laughter, tears, pain, victory and a great sense of achievement and accomplishment all around. Players felt safe at every practice and every game. The last Friday in April, before the start of the first playoff game, CeaseFire and two of the ASNW B-Ball teams marched through Austin and onto the court, displaying a banner demanding a halt to all violence in the Austin community. At the end of the season, new friendships had been forged between players who weren’t from the same block – and may not have met otherwise. 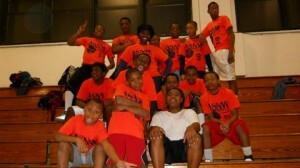 Many ASNW B-Ball players are now enrolled in Austin Little League, a subsidiary to the Austin Safety Net Works coalition. It is the intention of this coalition to provide Austin youth with year-round affordable sports programming. Coaches will be active in these players’ lives for years to come, as mentors and even surrogate parents. What’s next for ASNW B-Ball? The program administrators have bigger and better plans for future seasons, primarily fundraising for uniforms, transportation and venue space. Look for this program again during the winter of 2012. If you would like more information or would like to contribute to the program with a donation or by volunteering, please contact the Every Block A Village Youth Development Center at 773-378-5034. To sign up to play or to volunteer, contact the Westside Health Authority or Austin Safety Net Works. The event will be held from 1 to 5 p.m. Sept. 2 at Douglass High School, 543 N. Waller Ave.
Thursday's game features players from BUILD's Donna Dudley Peace Project. Ald. Deborah Graham, who lost her 29th Ward seat in the April 7th runoff, is one of about a dozen people serving on the special committee. Let me give a big shout out to Mr. Berger and San Miguel Elementary. They made this season happen. Also, to the parents who were shouting, at me, and cheering their kids on (LOL). As a ref I have heard it for years, and it does not bother me. I see it this way. I was glad you were out there to defend your child even if he did travel, foul some one, double dribbled, carried, and shot a couple of bricks. LOL.